are in £s Sterling (GBP). A currency converter will open in a new window. does not work with this machine. the same capabilities as the PPD120. 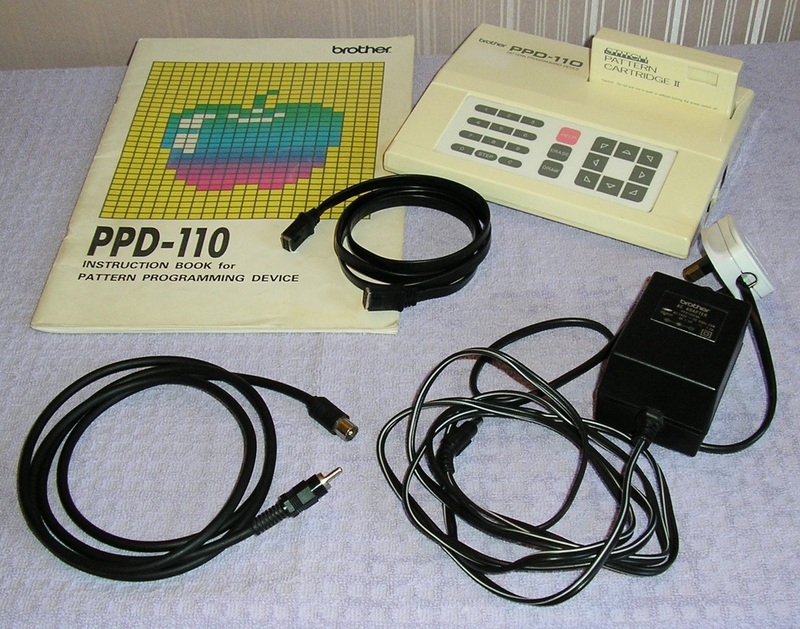 The PPD110 is very simple to use. than to draw them onto a Mylar sheet. are so difficult to obtain. 555 Stitch World stitch patterns built in to the base. and then upload them to your knitting machine. in any knitting machine that Brother manufactured. that can be applied to your design. Increase or Reduce the number of stitches or rows. the knitting machine’s cartridge port. can also use this method. or your knitting machine’s memory. the next time you want to knit them. and with my new Flat Screen TV. which runs at 220/240 volts. which will convert your power supply to 220/240 volts. from your local electrical store/electrician. Failure to use a converter may damage the PPD. to the aerial socket on your television. and details of how to pay. Accessories, Machine Knitting Magazines and Books.